The Minister of Roads and Highways, Mr Kwasi Amoako-Attah, on Friday, said the Government had engaged six contractors to resume work on each of the six bridges on the stretch from Monday to fast-track the completion of the footbridges within four months. Meanwhile, the Ministry would provide crash barriers and temporary speed ramps along the Madina-Adenta Highways as an interim measure to halt the carnage; while the Police aid pedestrians to cross the road at demarcated areas. He described the recent deaths ‘as unfortunate’ explaining that the Inter-Ministerial Committee on Roads and Highways, Transport and Interior had been planning in the past few months on procurement processes towards the start of work on the footbridges. 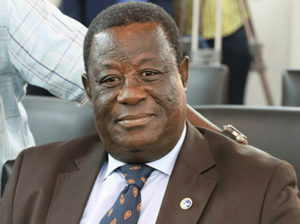 Mr Amoako-Attah was addressing journalists when he led a delegation, including Mr Ambrose Dery, the Minister of the Interior, Mr Kwaku Asiamah, the Minister of Transport, the Inspector-General of Police, Mr David Asante-Apeatu and some engineers and technocrats, to inspect the Madina-Adenta Highways, which has reportedly claimed 194 lives within a year. The lack of footbridges has been largely blamed for the situation. On Thursday, November 8, a taxi knocked down a female student of the West African Senior High School, killing her on the spot. This irritated the youth in and around Adenta to block the road and burnt car tyres to prevent the movement of vehicular traffic. It took the timely intervention of the Police and personnel from the Fire Service to remove the blockade and douse the fire to restore sanity to the place. Mr Asiamah, on his part, said it was not time to apportion blame but the need for all stakeholders to work harmoniously and collectively to resolve the challenge. He said road safety was a shared responsibility and urged the media to desist from emotional and sensational reportage about the carnage because that could aggravate the anger of the people. They should rather educate them on Road Safety Regulations and the work of the Police. In an earlier interview, Mr Asante-Apeatu, the IGP, he said personnel of the Motor Transport and Traffic Department (MTTD) had been deployed on the stretch as an interim measure to safeguard the safety of pedestrians and protect public property. He explained that the Police would be there to assist pedestrians to cross the road at demarcated areas and expressed the Police’s commitment to mount barriers along the stretch to safeguard the lives of pedestrians. He was, however, not happy with the protesters who pelted the Police deployed to the place to calm the situation yesterday, saying that some of them sustained severe wounds. Mr Asante-Apeatu urged the media to educate the public on the work of the Police in order to bring harmonious relation between the Police and the public. He said the Police were there to play their roles of maintaining law and order as well as to protect lives and property.